What does it take to make us happy on a Saturday morning? Well today it was quiche and fresh fruit and sweet rolls from Mom's Cafe and Bakery in Guthrie, Oklahoma. Oh boy it was good!! (This is where you forget that I said we were not eating out) Below is a little snippet that I copied from their menu. It's all homemade - fattening and delicious! Mom’s Family Bakery and Café! We bake from "scratch" using our own family recipes. All of our delicious baked goods come right out of our ovens—not from a freezer! Guess what made Paul happy? These restaurant supply coffee cups. We've been on a mission since before Christmas to find the perfect ones. I've looked at every price range and this is what he wanted. We asked the restaurant people, Mom to be exact, where we could find them and she sold them to us for $12.00 for 4!! Woo - hoo! Hope you all are having a wonderful Saturday. You have to have the right cups for your coffee, no doubt about it. What might work for me, just might not work for you. It's all individual. I do love the shape of your mugs. I also like the handle. The handle is very important to me! I have a whole cupboard full of mugs, but always choose a handful of different ones. Don't like them too big or too heavy. How nice that "Mom" could send you home with such nice mugs. The breakfast sounds yummy. What a nice Saturday you had! I love those coffee mugs...I am very particular about what I will drink my coffee out of. The shape and weight of the cup is very important to the whole coffee experience! Sure sounds like you've found yourselves a great little place to eat...I'm getting hungry just thinking about it! Wish we had a place like that around our neck of the woods. And that deal on the coffee cups...you snagged yourselves a real bargain! Woo hoo! Okay, now I am hungry all over again! Sounds like a great place to eat at! And YES, I totally don't remember you talking about not eating out. Wink. Wink. The mugs are really nice! What a great deal you got on them! I hope you're having a great weekend so far. 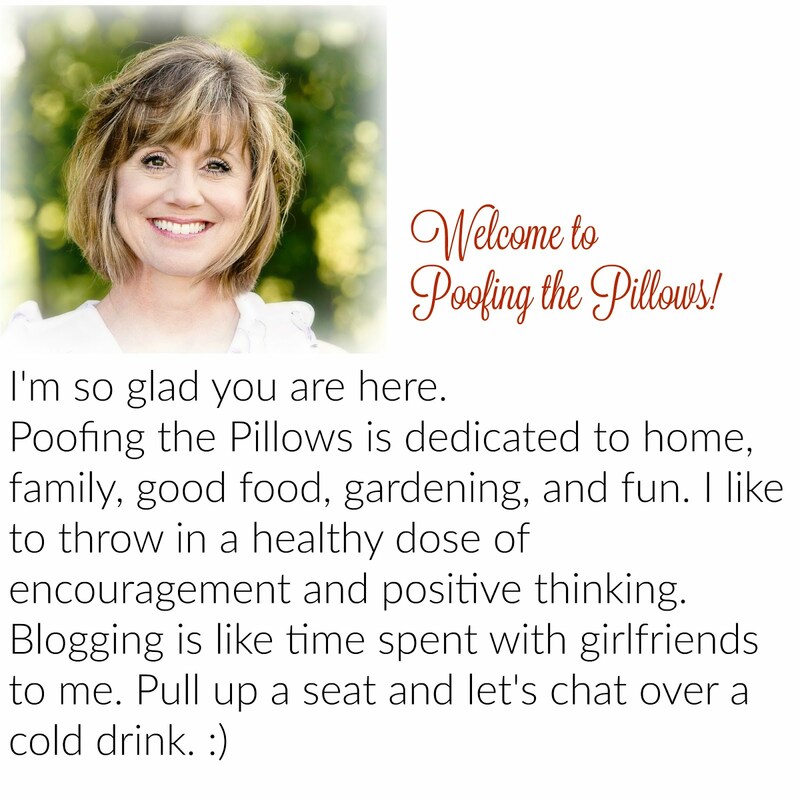 Just found your blog and love it. Thanks for sharing! I read your profile and notice your son is attending OU. My 14 year old loves OU. His walls are covered in OU posters and all of his t-shirts are OU. Hey girl...love those mugs! We are trying to eat at home more now also..but groceries are starting to get so high it is hard to cut back. Love those toile chairs in your dining room girl.I had my living roon in a pretty red like that a few years ago with a living room suit that had the big cabbage roses on it...it didn't stay that way a year! lol lol I just always go back to my browns..blacks & Fall colors..I tell you the fabric I bought that has the aqua in it is really gonna be a stretch for me...I haven't had blue in years! Thanks for coming by....hope you have a great night! How funny about the mugs. Hubby and I often mention how little it takes to make us happy as we have grown older. The perfect coffee cup will do it! Sounds like you and hubby had a great Sat.! Glad you found your coffee cups! I've been meaning to tell you how much I love the topiary plate on your header picture! I did not see that post about no rugs. I love restaurant supply stores. We have one here and it is definately my favorite. Men are so funny, the simpler the better. I wish I had gone and had fun on Sat. I polished silver, washed dogs and washed all the bedding in my home. I need to come hang out with you. MOrning, Stacey! Oh, I love me some home cooking, too! Love your mugs too and glad you've found the right ones. Thanks for you sweet words. I haven't been to Guthrie in years. Sounds like you found a great place to eat. Your new mugs are great! How great! You never know if you don't ask! :) Glad you found the perfect mugs!! Sounds like a great place to eat! I am so glad you found the perfect coffee mugs....not too big, not too small, just right! Have a great week! I love white anything...dishes, mugs, cups, plates..love white! What a fun Saturday! Glad y'all found those mugs. I really like them, too - something about the weight of them, I think. :) Hope you have a good Tuesday!